﻿ The Cone - Ohio. Find It Here. A West Chester, Ohio favorite that has been in business since 1995. Enjoy delicious soft-serve ice cream, desserts, treats and more served to you out the window of a giant ice cream cone! The #1 selling cone is the orange and vanilla twist. Families and friends often gather here to talk and share a cone. During your visit you can play a game in the arcade where there are pinball machines, kiddie rides, Pacman, Galaga and more! 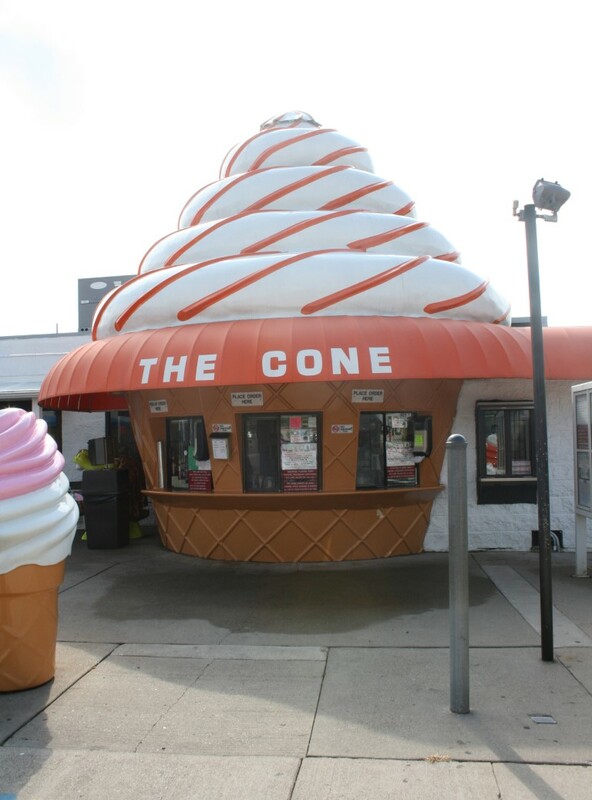 The Cone has become a landmark in the West Chester, Ohio area. Keep an eye out for the mobile cone on wheels, where you can grab the infamous orange and vanilla twist cone on the go! Free and On-Site Parking, Credit Cards Accepted.